The Severalnines team is pleased to announce the release of ClusterControl 1.2.11. This release contains key new features, such as support for MariaDB’s MaxScale, along with performance improvements and bug fixes. This is also our best release yet for Postgres users, as outlined below. Join us for a release webinar on Tuesday, October 27th 2015, during which we will discuss the new features of this release as well as demonstrate them live. 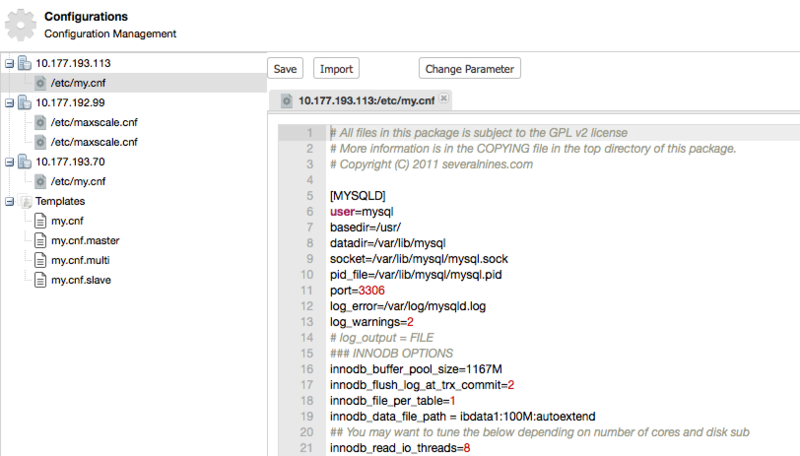 Deployment and Management of Postgres Replication setups: It is now possible to create new Postgres replication clusters from ClusterControl, and view replication status from the Overview page. 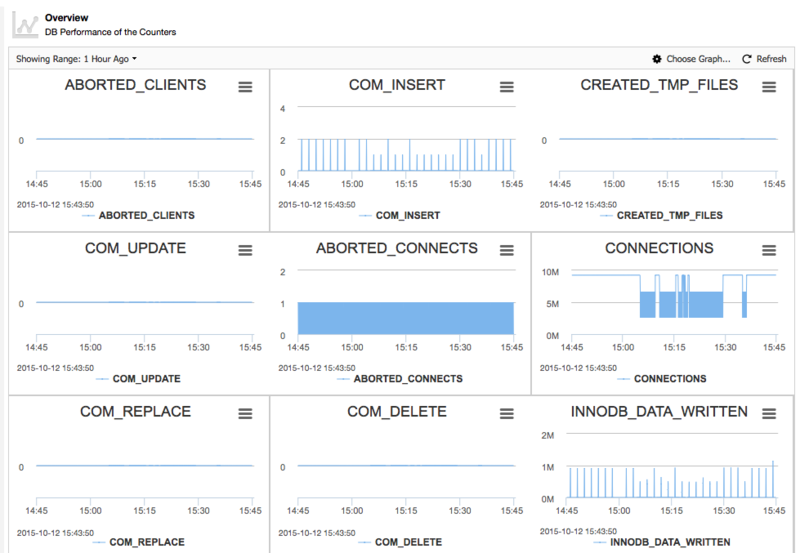 Read the ClusterControl Changelog for all details on enhancements for PostgreSQL. Once a master is deployed, it is possible to add a replication slave. Users can also create their own dashboards with statistics to chart. Support for MaxScale load balancer: We are excited to announce support for MaxScale, an open-source, SQL aware load balancer. Its ability to customize read/write splitting of SQL traffic can help address certain scaling issues in distributed database environments. 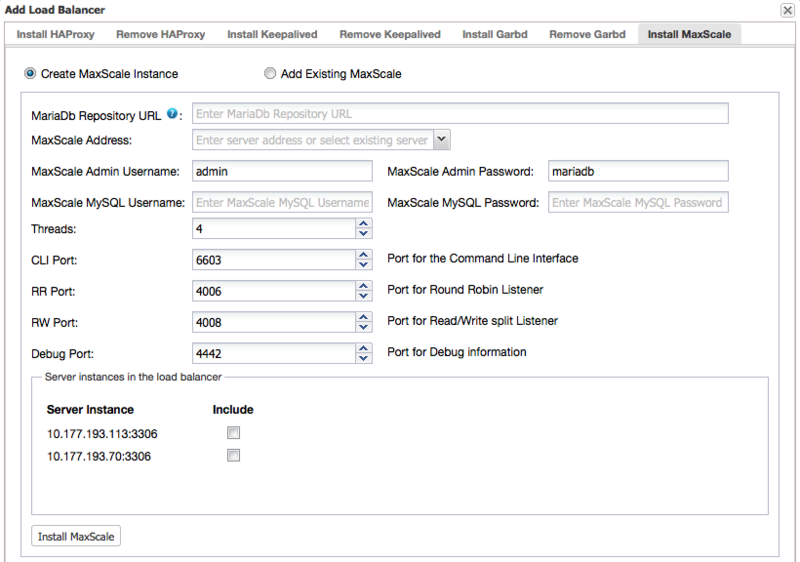 It is now possible to deploy MaxScale instances from ClusterControl, and customize configurations - e.g. 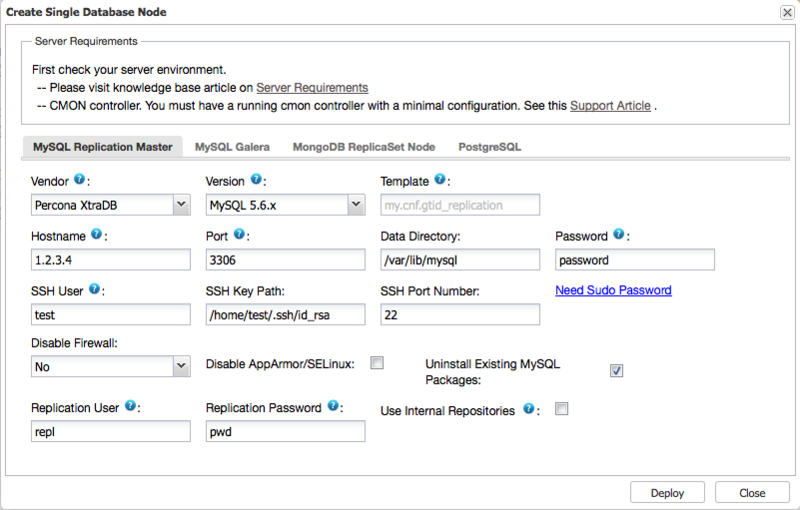 read/write split for a master-slave MySQL or MariaDB Replication setup. 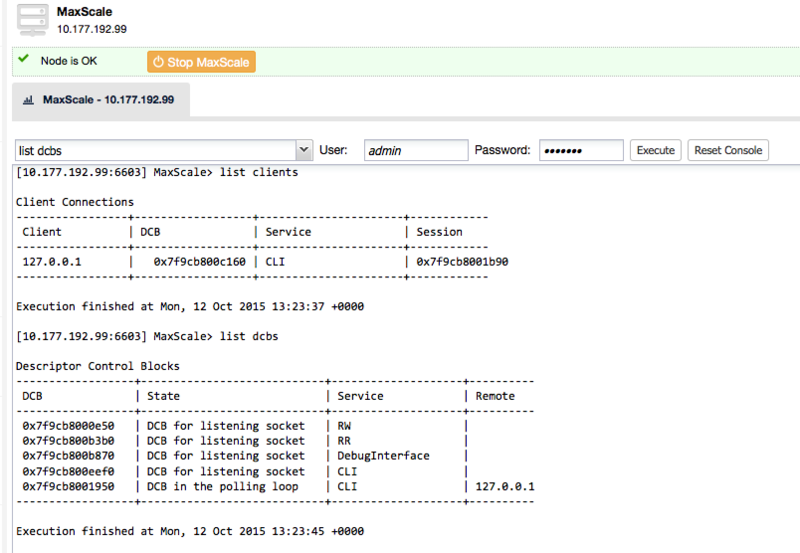 You can also send commands to ‘maxadmin’ directly from ClusterControl. 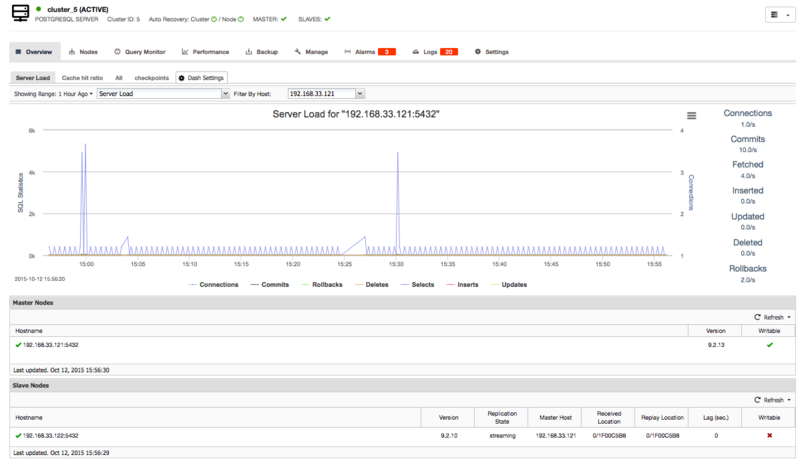 Add existing HAProxy and Keepalived: ClusterControl can now manage and monitor existing running HAProxy and Keepalived instances that have been installed manually by the administrator. Realtime Replication status can be viewed from the dashboard. 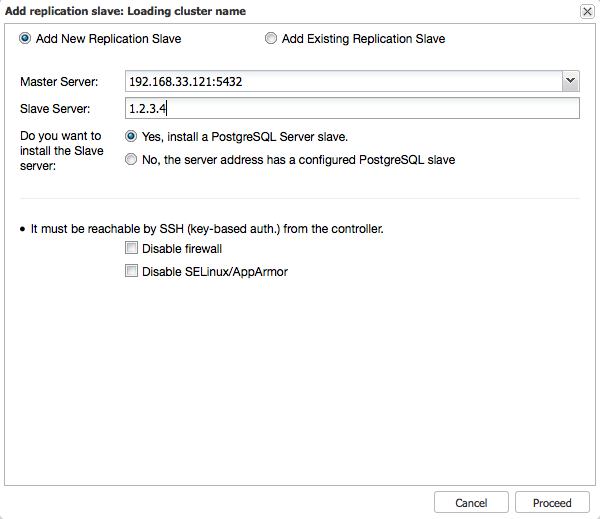 Master failover and slave promotion (for GTID based setups) can be handled from ClusterControl. Improvements in charting of metrics: The limit of being able to chart 8 DB stats has been removed. It is now possible to chart up to 20 stats, and arrange the charts in a layout with 2 or 3 columns. Revamped configuration management: The configuration management module in ClusterControl has been rewritten. It helps you track and control the configuration of your cluster nodes, whether they be database nodes or load balancers. ClusterControl detects ongoing changes and stores them in its local repository. Changes can be persisted to database variables across one node or a group of nodes at once, dynamic variables are changed directly without a restart. New Database Logs page: Browsing through the appropriate error logs is key element of the troubleshooting process. 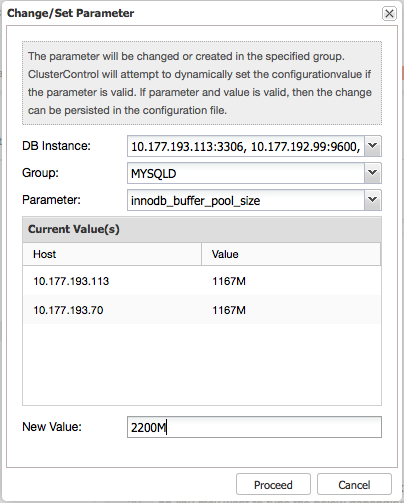 Users can now view a tree list of the DB nodes so it is possible to simply pick the nodes and view the corresponding MySQL error log. 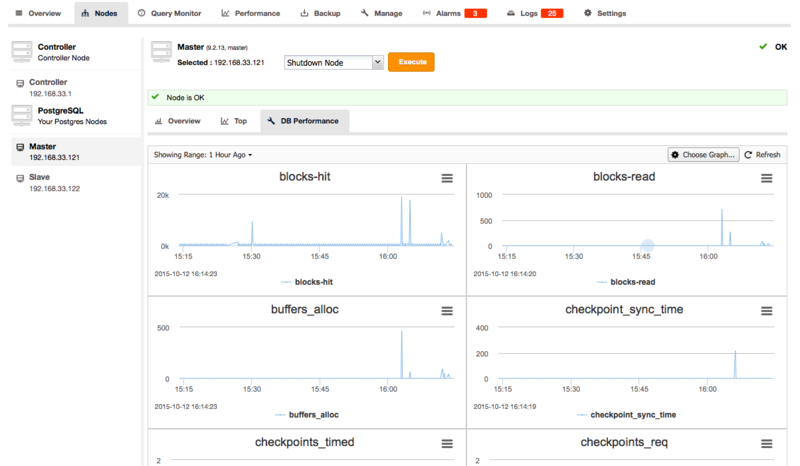 Revamped MySQL User Management: We have removed the old implementation where users created from ClusterControl were maintained separately. Users and privileges are now set directly and retrieved from the cluster so ClusterControl is always in sync with the managed databases. 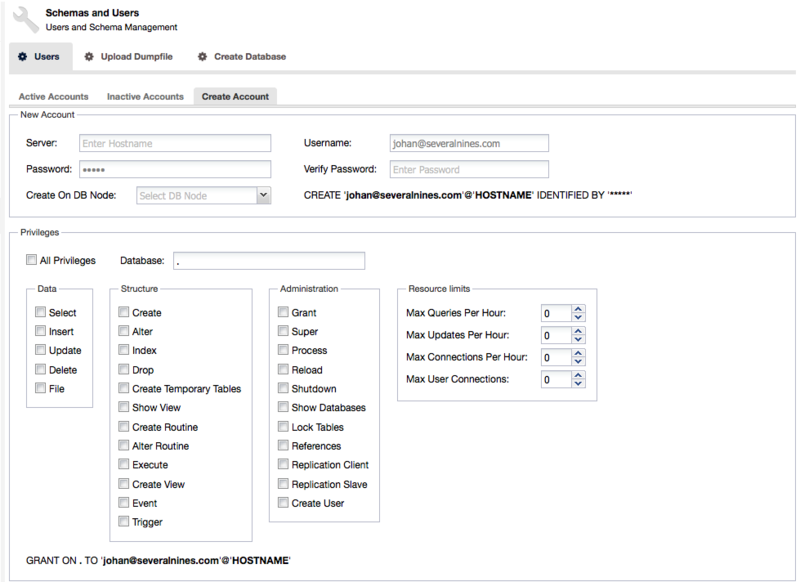 Users can be created across more than one cluster at once. 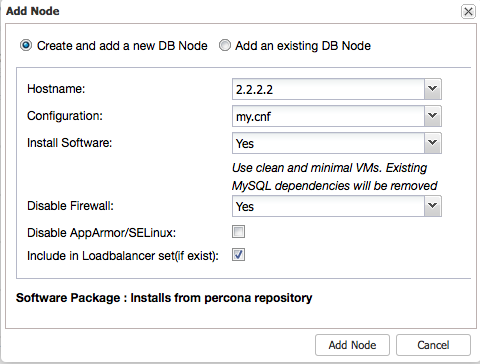 There are a bunch of other improvements that we have not mentioned, including backups of individual schemas in MySQL/MariaDB based systems. All details can be found in the ChangeLog. With over 7,000 users to date, ClusterControl is the leading, platform independent automation and management solution for MySQL, MariaDB, MongoDB and PostgreSQL.